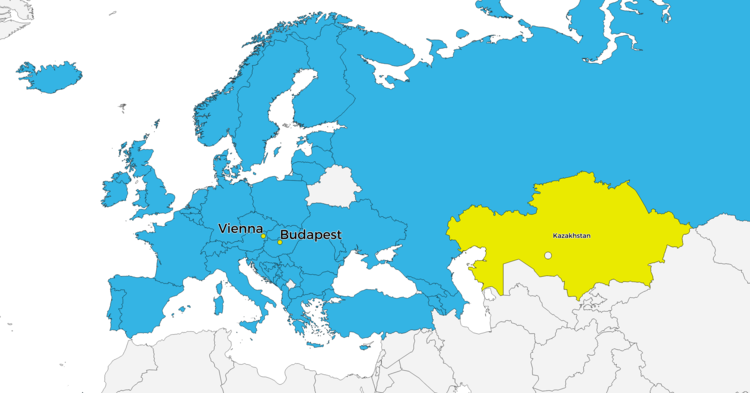 On 12 March 2010, the Minsters of the now 47 countries participating in the Bologna Process adopted the Budapest-Vienna Declaration and officially launched the European Higher Education Area. The Conference of the European Higher Education Area Ministers was followed by a meeting with Ministers from different parts of the world in the Second Bologna Policy Forum on "Building the Global Knowledge Society: Systemic and Institutional Change in Higher Education" that was concluded with the Vienna Bologna Policy Forum Statement. 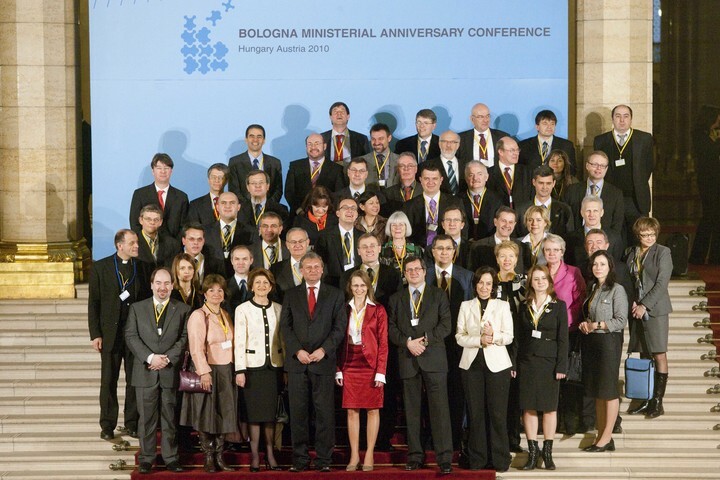 ‌Second Bologna Policy Forum in Vienna, 12 March 2010. The logo of the conference was designed by Zsuzsanna Palman, a fourth-year student at the Hungarian University of Fine Arts, and selected from the works of Austrian and Hungarian students prepared for a competition by the Austrian-Hungarian joint Organization Committee.